Lol... I thought you were on about the weight of the bike until I looked closer at the pictures and saw the background. I like to keep my weights routine simple. 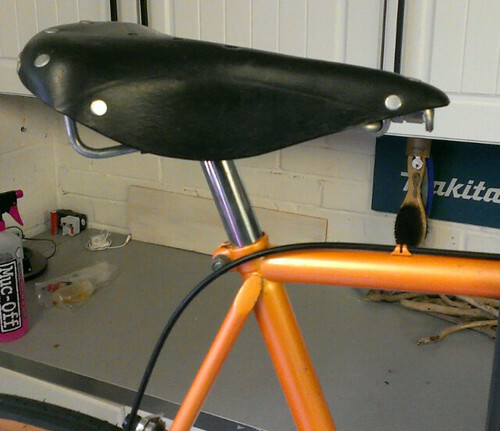 Right, I spent a few hours yesterday polishing the brake levers and putting some new cork tape on the bars. I was going to wrap them in cotton then varnish them but I went for the cork in the end as I intend to ride the bike and I get hand pain quite a bit. I think the finished result looks pretty respectable.. 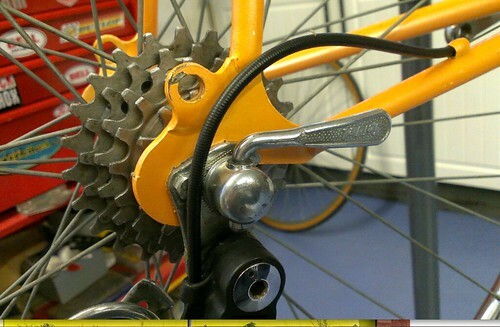 I then stripped the rear wheel and polished it, not that it actually made much difference, but its done now and I cleaned the cassette when I was on. 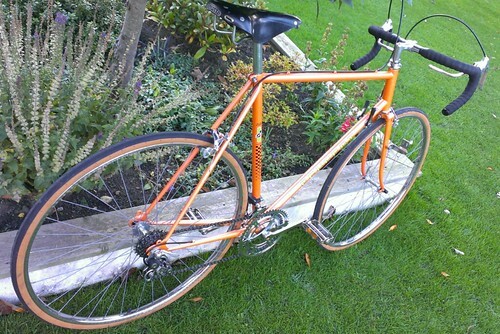 All I'm waiting for now is the saddle and brake blocks to arrive and I need to polish the front brake calipers, wheel and hub. Anyone know anything about tires? what decent 27" tires are available for road use? Cheers Biggs682, I'm going to see how these tyres fitted handle. If they are rubbish I'll have a look at those world tour ones. Post man came today. 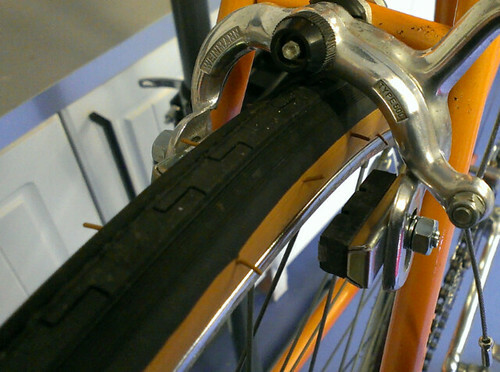 Leather lined brake blocks.. 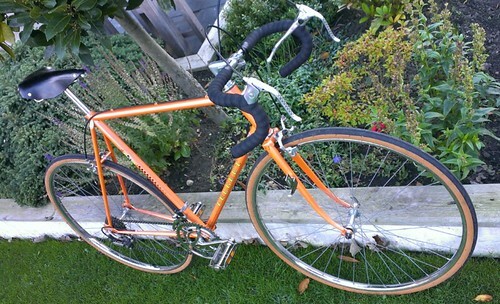 I've just picked one of these up from a skip (I asked permission). Really interested in getting this back to some kind of order and finding out more information about it. Did you get to the bottom of the age? 1981 or 1979? 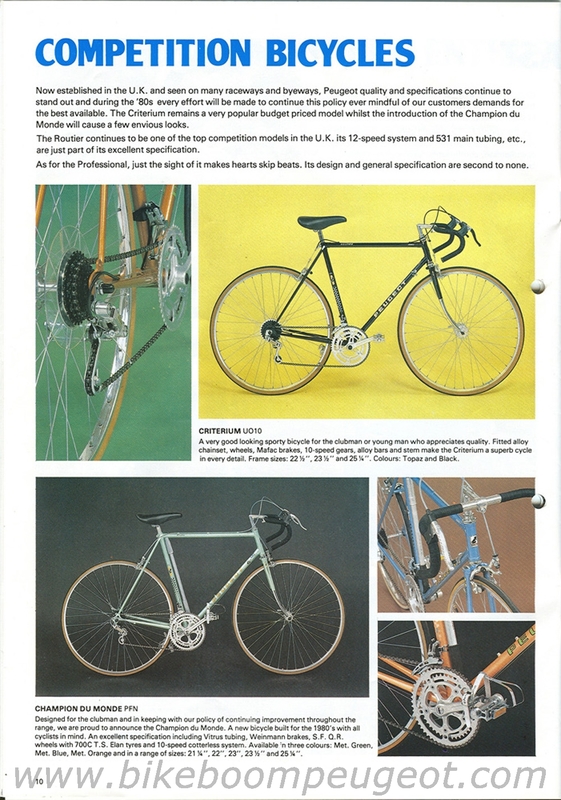 From the brochures (linked to in this post) the closest is a Champion Du Monde from 1980s: http://www.bikeboompeugeot.com/Brochure ... age_10.jpg. Even though the colourway and decals and specs are the same, the name is different enough to make me think it's either a different year or model. Any info you can give me on it would be greatly appreciated.